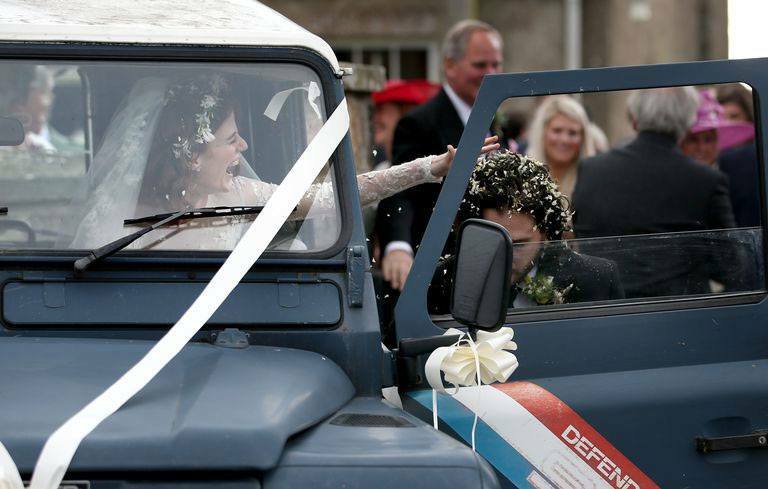 Game Of Thrones stars Rose Leslie and Kit Harington married at Rayne Church in Aberdeenshire, Scotland on Saturday, June 23, and it would be PHYSICALLY IMPOSSIBLE for them to look any cuter leaving their wedding. Let's just gaze upon these pictures and feel ourselves aging in reverse because of the insane levels of adorableness. 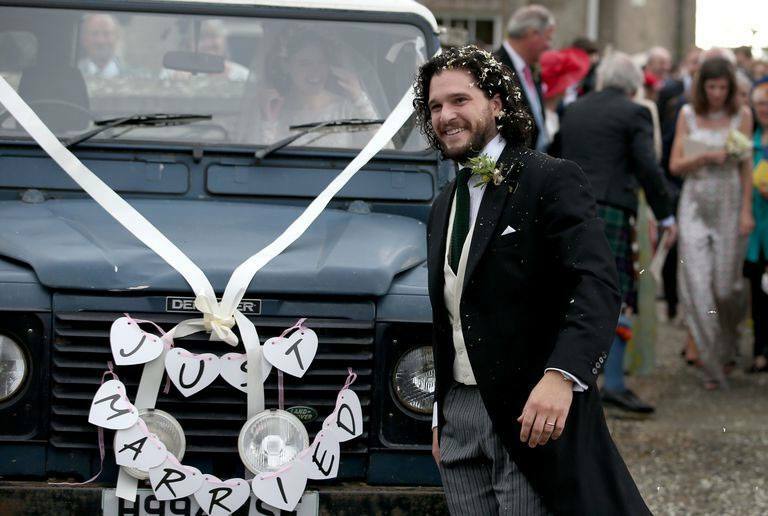 Earlier in the day, Kit arrived looking DAPPER AF in his tux, and Rose and her father Seb were equally stunning. 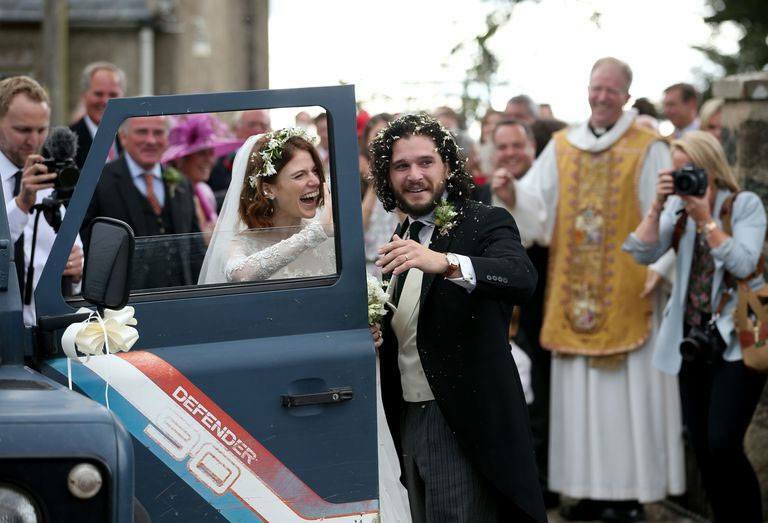 Also, it should be noted that when Kit and Rose's Game of Thrones co-stars arrived in Scotland to celebrate the nuptials, Sophie Turner took a minute out of her day to facetime with fiancé Joe Jonas. Their wedding is next, friends! Do you think we'll all be invited? Probably. 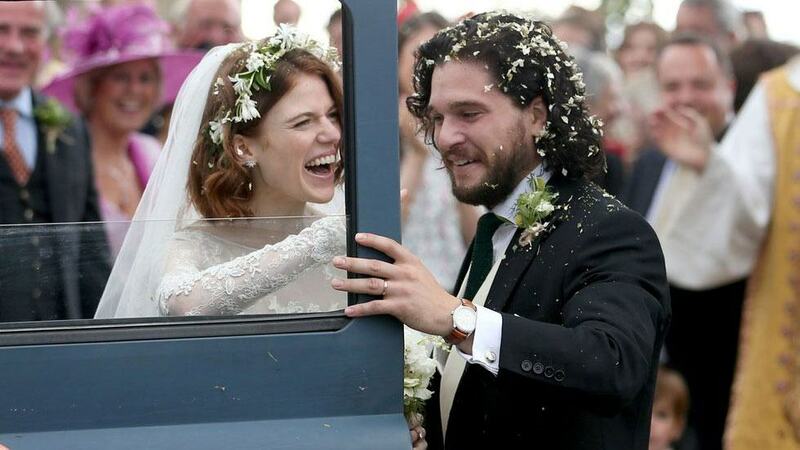 As far as a quick recap of their love story, here it is because you know you want it: Kit and Rose met on the set of Game of Thrones in 2012 when their characters Jon Snow and Wildling Ygritte fell in love on-screen, then they later shared that they were also in love IRL. I mean! In October 2017, Kit got down on one knee and proposed to Rose and now here we are: The big day! Good job, everyone!